Update on the case of Andrew Brunson: He has been released! American Pastor Andrew Brunson has been released on October 12th 2018 from wrongful detainment in Turkey. We can confirm that after more than two years of detainment based on his Christian faith, Pastor Andrew has left Turkey to return home to the United States. Andrew Brunson has been wrongfully imprisoned in Turkey since October 2016. He was presented three times to a Turkish judge: on April 16th, on May 7th and on July 18th, 2018. The trial has been delayed without any reasonable justification and the next hearing is now set for October 12th, 2018. 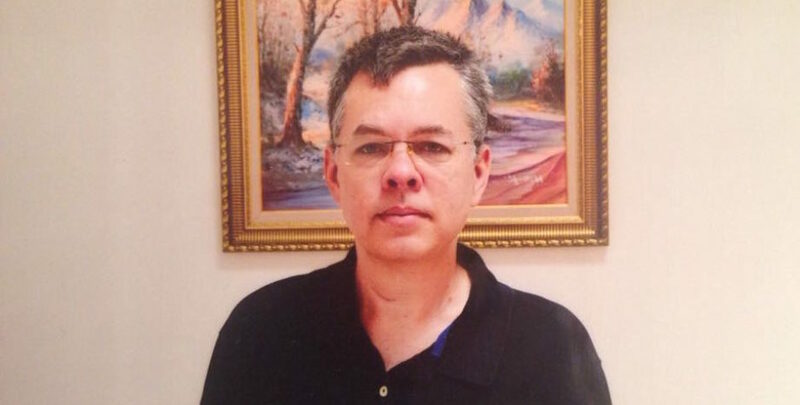 Due to Pastor Brunson's health problems, the Tukish court accepted to move him from prison to house arrest on July 25th, 2018. According to the 62-page indictment, Pastor Brunson would have contributed to the preparation of the 2016 Turkish coup d'état attempt, in coordination with the Gülen movement and the Kurdistan Workers' Party (PKK). The description of Pastor Brunson as a terrorist could not be further from the truth. Indeed, he has lived peacefully in Turkey together with his wife and three children for 23 years. Andrew Brunson was serving openly as pastor of the Izmir Resurrection Church, all without any incident with authorities. As a religious leader, Andrew Brunson specially worked to keep political activities away from himself and his church. Of course, he shared his faith with the population as any other religious leaders, which is part of his religious freedom. The incrimination for “Christianization” in a Council of Europe member State cannot be justified in any way and is very worrying. In fact, the charges against Pastor Brunson are based on a conspiracy theory according to which the population believe that all the political opponents are plotting against Mr. Erdoğan. In this regard, the indictment states that Andrew Brunson, the Gülen movement and the PKK “misuse persons' religious beliefs and try to create a synergy that poses a threat to their own government.” At the same time, the Turkish prosecutor acknowledges that Pastor Brunson is not a member of these movements and that no direct connection has been established between him and the 2016 coup d'état attempt. The allegations of the prosecutor are thus not based on any established facts. Moreover, Pastor Brunson is used as a bargaining chip by President Erdoğan, especially as the case gained public attention. President of the United States Donald Trump, Vice President Mike Pence and former Secretary of State Rex Tillerson requested Andrew Brunson’s release on several occasions. In response to this call, President Erdoğan demanded to swap Pastor Brunson for Fethullah Gülen. This offer proves that Andrew Brunson is not only a religious prisoner, but also a political prisoner. On February 7th, 2018, the European Parliament voted a resolution “[urging] the Turkish Government to release Pastor Andrew Brunson and to allow him to return home” (2018/2527(RSP)). On March 9th, 2018, his case was brought before the United Nations bodies in Geneva. Pastor Brunson’s daughter also shared her personal testimony before the Human Rights Council. On April 20th, two-thirds of the U.S. Senators have addressed a bipartisan letter to President Erdoğan “in the hope that justice would be done and Pastor Brunson would be reunited with his family.” 24 members of the Parliamentary Assembly of the Council of Europe already signed a written declaration (No. 651, Doc. 14492). Civil society is also increasingly committed to the release of Pastor Brunson. A petition for his release gathered 600,000 signatures and thousands of christians are praying for him. These strong political and civic reactions reveal that this affair has contributed to making relations between Turkey and Western countries even more conflictual. The political cost of keeping Andrew Brunson on remand is therefore increasing for Turkey. For this reason, his lawyer Ismail Cem Halavurt and many diplomats expected a release of Pastor Brunson in July 2018. This hope seemed accompanied by a joint desire to restore peaceful relations between Turkey and the United States. Unfortunately, a third postponement of the trial was announced, this time for October 12th, 2018. This worrying obstinacy of President Erdoğan confirms the end of the rule of law in Turkey. Our international efforts have already paid off. As a result of our direct requests, the United Nations Working Group on Arbitrary Detention has agreed to take on his case. This is a big development for Pastor Andrew as the Working Group only accepts a limited number of cases each year. The detention of this pastor of a humble religious community has thus become an emblematic case of the excesses of the Erdoğan regime and the hardening of relations between Turkey and the West.